For more information on Minding Your Health AM 950 Click Here. During a Hypnosis Certification class ones of the student’s friends was having severe pain from a newly inserted dental implant. This audio is John receiving hypnosis for acute pain during the class. Hear this dramatic outcome. The story and audio below is from Traci Patterson, Traci is a true hypnosis success story. If you remember my Email “Why I do Pain Management” Traci suffered from intense chronic pain issues. She came to me as a last resort. Working together she was able to see incredible results. Far beyond what she had previously imagined. As you will see below Traci’s career has taken a life of it’s own. She is off and running helping people achieve comfort levels they haven’t found any other way. The audio below is Traci’s 1st out of town client calling into Traci’s husbands radio show about her success in increased comfort levels. I was given an interesting and wonderful surprise last night that I would like to share with you. I had mentioned to you that I was working with my 1 st full week, out of town client – during this week. She arrived this week on Tuesday morning and we started working together. She actually heard my story through my husband’s radio show. Although we had been able to get her comfort level’s down on Wednesday, by the time she got back to her hotel room (as she didn’t book one my recommended hotels that were close…) she got lost, frustrated, anxious and her comfort levels went from extremely low to a 4-5 that night. Then yesterday, we worked on the trigger, self-talk and self-hypnosis in session… in addition to other things to keep her from hitting that situation again. We got her to a ZERO yesterday for the 1st time in over 30 years! The NGH 2013 convention was a great one and we here at Healthy Visions are gearing up for 2014 where Ron Eslinger will be giving a Pre-convention course on Pain Management. 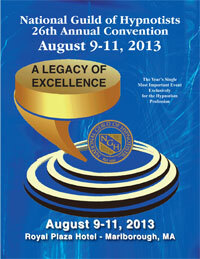 2013 NGH Convention was a great year for speakers, below is a list of some of them and what they spoke about. Gerald Kein – Working With Groups Could Be A Full Time Career! Joann Abrahamsen – A World of Inductions! NGHNETWORK.COM – 2013 NGH CONVENTION Group – http://nghnetwork.com/groups/26th-annual-ngh-convention-educational-conference-2-a-legacy-of-excellence013/ – Direct link to the Convention page on the NGH Network. This presentation will help you better communicate with your children. This will certainly help you understand children during the holidays. 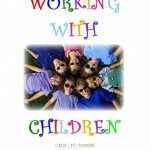 Ron Eslinger has some great materials to help parents and professionals work with children using hypnosis.